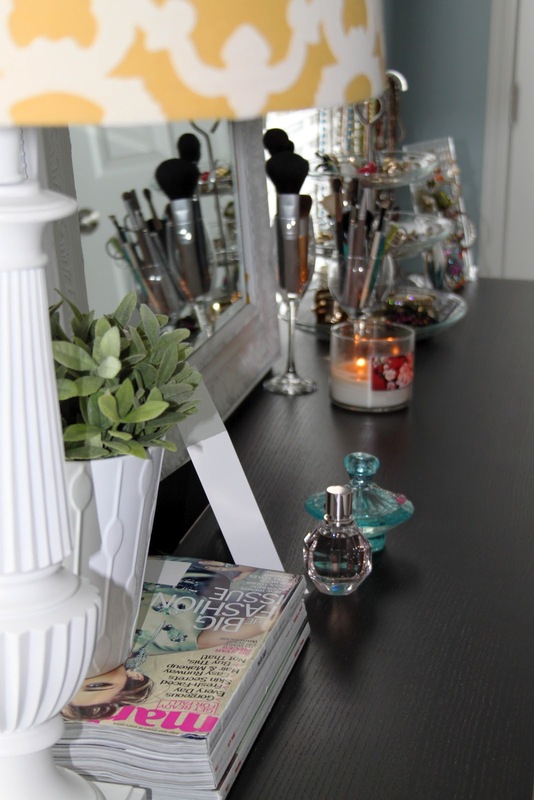 One of my all time favorite places in our house to be at is my vanity. This is where all my "girly" tools are stored (e.g. make-up, nail polishes, perfume, jewelry, make-up brushes) and the one place in our house that is just for me. I spend a lot of time here getting ready, doing my make-up, hair and nails so that's why I decided to personalize it and truly make it my own with a couple of my favorite things. I usually have a candle burning, my latest magazines and pictures. 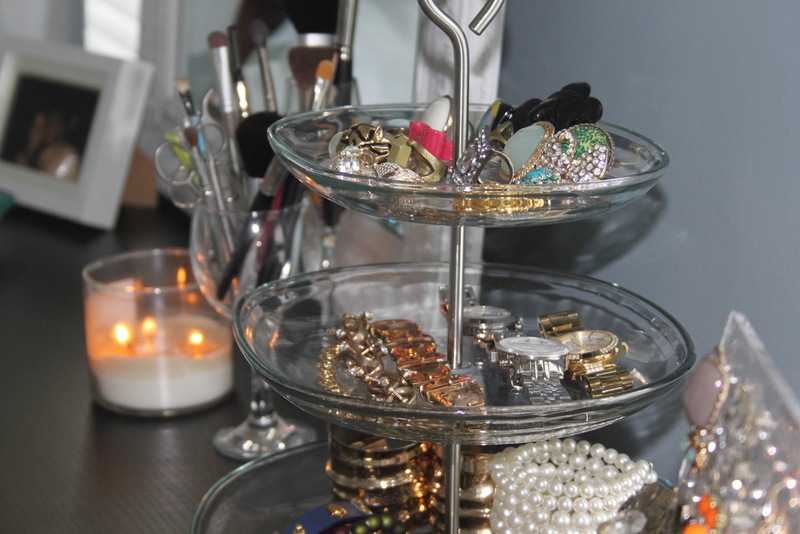 Jewelry storage (it's actually a serving tray but works great as a jewelry storage tray). I keep my make-up brushes stored in these wine and champagne glasses. 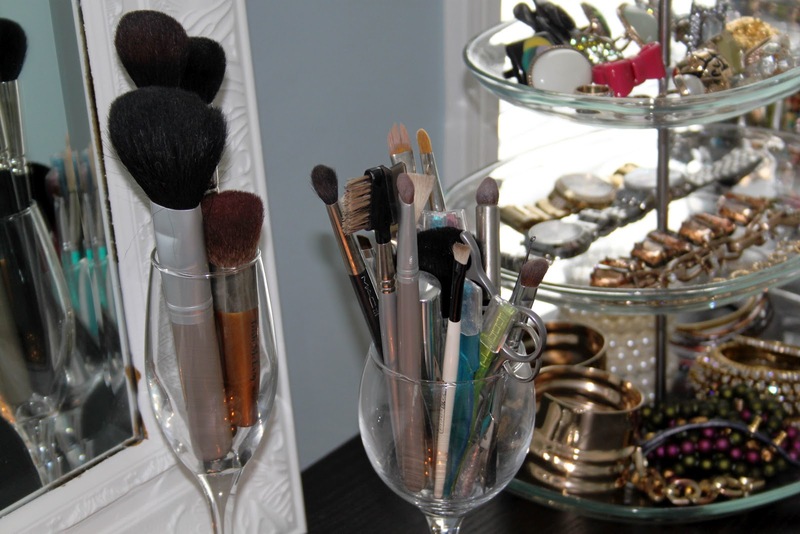 The wine glass stores brushes that I use for eye make-up including eyebrows and the champagne glass holds brushes for the face such as blush and foundation brushes. 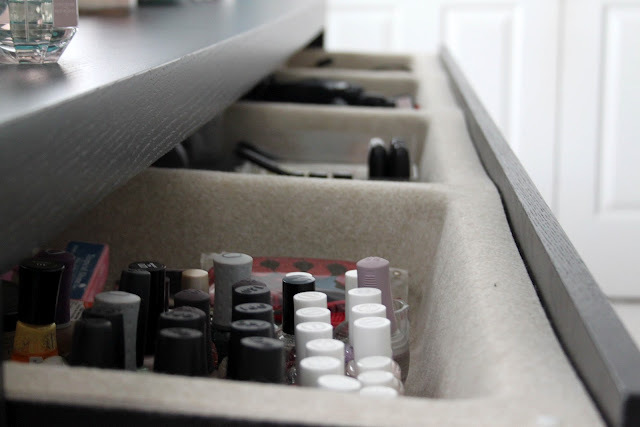 This is truly the best part of my vanity: this huge drawer that stores my ever growing nail polish collection, make-up collection, hair blow-dryer, flat iron and all my other tricks of the trade to help me get dolled up!